Badge crafted long ago at the Workshop. Attests to one's prowess as a hunter of beasts. The Workshop is gone, and no group recognizes this meaningless badge, except the messengers in the bath, Who understand its profundity. Certain things can only be entrusted with a hunter in possession of this badge, or so they believe." 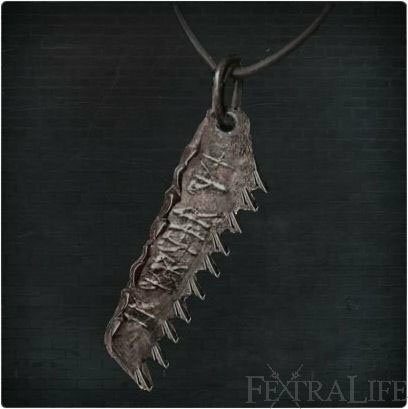 Saw Hunter Badge is a Key Item in Bloodborne. Unlocks all the initial equipment options for purchase at the Merchants in the Hunter's Dream: The Saw Cleaver, Hunter Axe, Threaded Cane, Hunter Pistol, Hunter Blunderbuss and the Saw Spear. Found as a treasure next to the Giant Boar in the Central Yharnam Sewer. Does the inscription on it have any meaning, or is it superficial?